Save Stone Meadows Farm - Times Publishing Newspapers, Inc.
Save Stone Meadows Farm (SSMF) is an active group of citizens from Langhorne, Newtown and throughout Middletown Township dedicated to preserving the last historic agricultural farmstead in Lower Bucks County. SSMF is a 501(c)3 tax exempt organization whose mission is to seek permanent preservation of Stone Meadows Farm. Stone Meadows Farm is located on the northeast side of Newtown-Langhorne Road (PA Route 413) and Tollgate Roads, extending to Fulling Mill Road. It covers 168 acres between George School and Core Creek Park. As a landmark farm, it contributes to open vistas and is a visual reminder of the agricultural heritage of the community. For over three years, a developer has attempted to maximize development of the farm by subdividing it to build 123 houses. 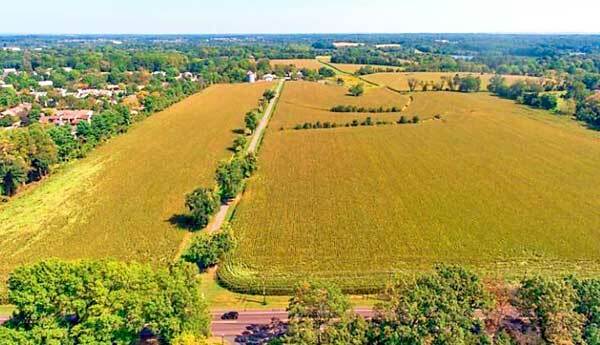 This plan has not received township approval and the fate of the farm is still uncertain. SSMF is seeking a preservation alternative and raising funds for that purpose. Concerns range from public safety issues, increased traffic on congested roads, stormwater runoff, water pollution, flooding and increased taxes among others have been documented as well as apprehension by professionals in the healthcare and emergency services fields. Pennsylvania and local studies show for every $1 collected in tax from residential properties cost the municipality $1.03 to $1.48 in services versus the cost of $.04 to $0.35 for farms and open land. They invite members of the community and officials to meet and learn how we can create alternatives that include preservation, recreation and educational resources for the benefit of all. More than just pretty places our open spaces are productive assets that generate economic value for this region: the local economy, property values, health costs and recreation, and avoiding additional infrastructure costs. For more information, please visit www.SaveStoneMeadowsFarm.org – don’t forget to leave your message on the “Contact” page for periodic updates, follow us on Facebook and attend a scheduled Middletown Township Board Meeting. Today’s children and tomorrow’s generations should have the opportunity to be able to enjoy the benefits of clean water, fresh air, and healthy opportunities from local food. [*] The Economic Value of Protected Open Space in Southeastern PA. Nov. 2010. Del.Valley Regional Planning Commission, dvrpc.org.